Hey Florian, looks like you guys had a lot of fun in your mini type-in. And Lugano looks quite stunning! How beautiful. I'm always glad to get news of type-ins around the world! What a fantastic place to use a fantastic typewriter! The Corona 3 looks really happy to be used, and that Optima is also beautiful! I still have to try having my own type-in here, but that would be a rather lonely experience... XD But maybe, just maybe, I'll take "Dali" to a park and show it off as soon as I finish restoring it. 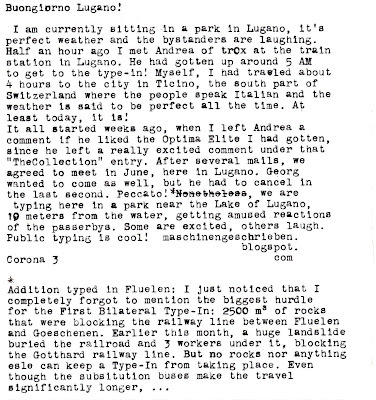 Looks like a fine place to have a type-in even if it is only 2 typists. What a beautiful day to visit Lugano, Florian! 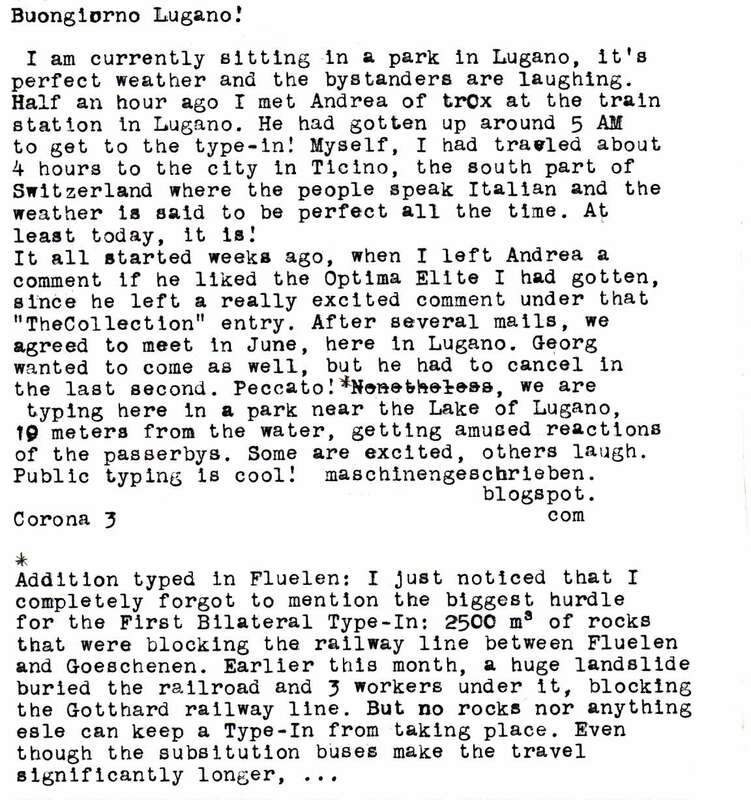 I am glad you were able to link up with Andrea after all despite the Gotthard tunnel problems. Pity Georg had to miss it. Hopefully we can all get together when Peter arrives! Yes, a beautiful day and it's always nice to meet people in real life!